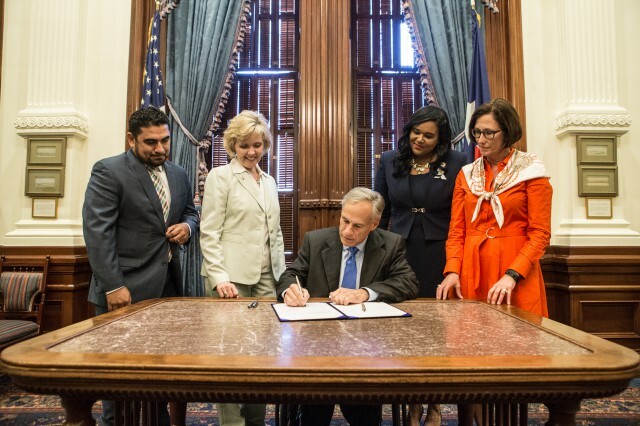 Governor Greg Abbott today signed Senate Bill 17 (SB 17) to extend the Maternal Mortality and Morbidity Task Force. The task force studies pregnancy-related deaths in Texas, and will provide invaluable information and insight on how the Texas health care system can target better treatments for diseases such as diabetes, high blood pressure and post-partum depression. "As Governor, I am committed to doing everything we can to combat the maternal mortality rate in this state," said Governor Abbott. "Now that the task force can continue its work, Texas will be equipped with the most accurate information to help ensure the safety of Texas women. I am grateful to the Texas legislature for passing this law, and specifically Sen. Lois Kolkhorst and Rep. Cindy Burkett for their leadership on this issue."